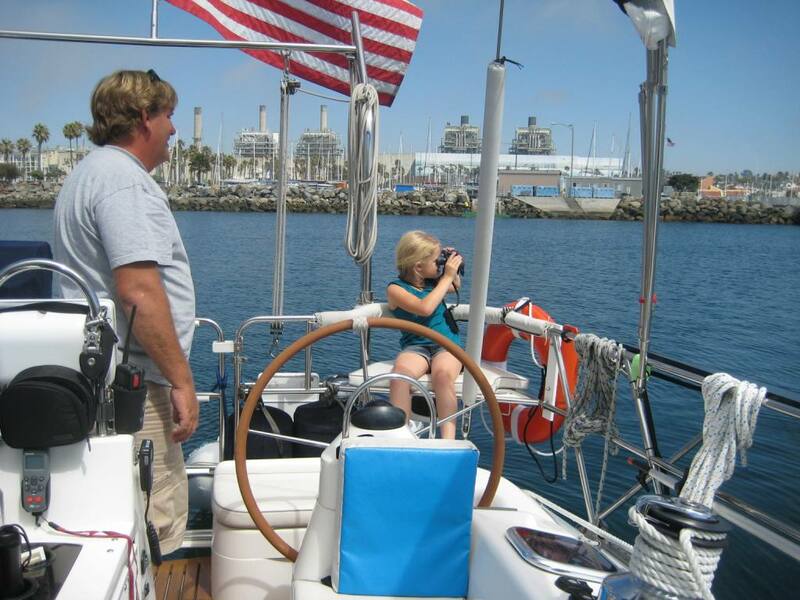 We left Channel Island Harbor at 8:30 am on Saturday 17th and motor sailed south towards Marina Del Rey. The weather was cloudy with fog and at times the visibilty dropped to less than a 1/4 mile. The nice thing about cruising is there is no schedule and mid-way through the trip we decided to divert to Kings Harbor in Redondo Beach. During the trip the winds were less than 5 knots, but we did get about 1 hour of sailing in. When we entered Santa Monica Bay, about 10 miles from shore, we picked up a hitch hiker. A little sparrow hung out with us for about an hour. We arrived at 3:30 pm after motoring 49.2 nm and set the anchor across from the Harbor Master’s Office. 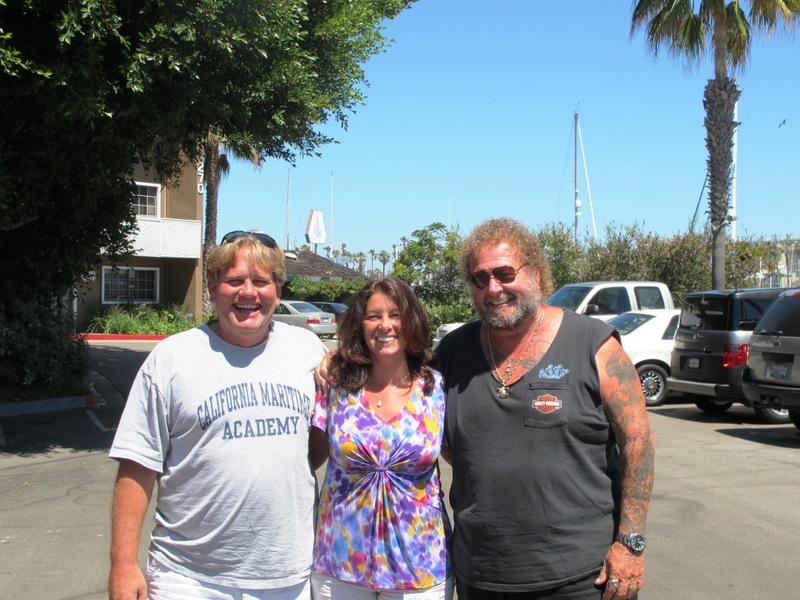 The great thing about King Harbor is they are one of the few Southern California marinas that allow anchoring. It is also home of Latitudes & Attitudes magazine and Tom’s hero, Bob Bitchin. We plan to stay here for 5-7 days before heading to Catalina Island.We have internet and phones. On Sunday, Tom’s oldest daughter arrived for a visit with her family. 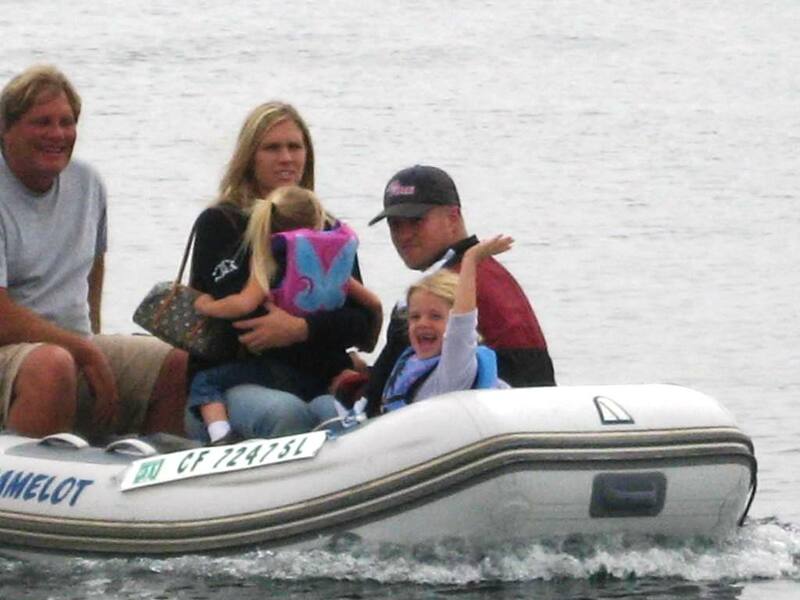 Jenny, Brett and daughters, Haley and Sidney. First stop was West Marine to get the girls the newest fashion in Life Vests, then back to the marina for the dinghy ride out to Camelot. At first, it was a little rough getting Sidney convinced that it was ok to ride in the dinghy, but she warmed up quickly. 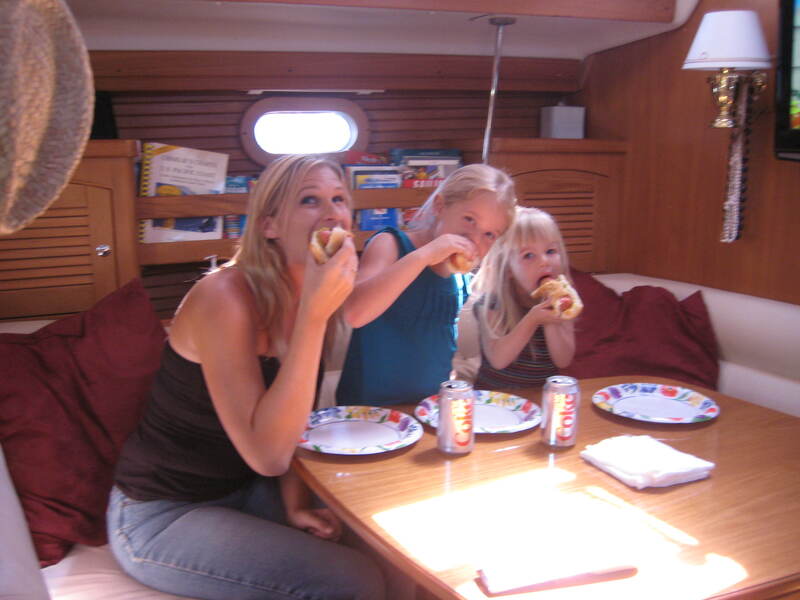 We introduced Jenny’s family to the leisurely life of sailboat cruising. A hot dog lunch, followed by dinghy rides for everyone. Haley, at 7.5 years old has what can only be described as salt in her blood. She is fascinated by the boat and all it has to offer. Sidney, at 3 years old was a little more cautious, but followed her sister around the boat exploring all the hidden places that only small children could find. 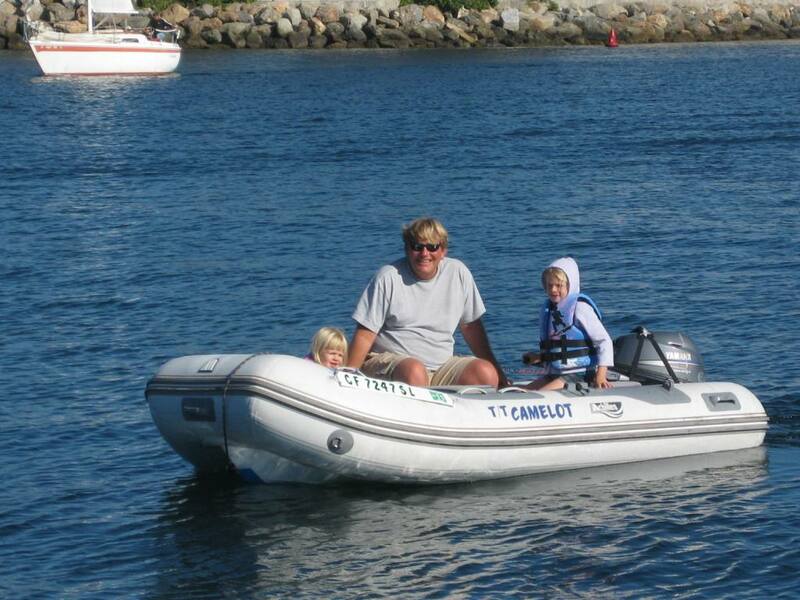 Tom, Haley and Sidney took a ride over to an old bait dock where we saw 30-40 harbor seals lazily passing the day. Later, Haley wanted to check out the speed of the dinghy and we headed out for open ocean, where we hit amazing speeds of 18 knots. Haley’s only comment was, “Can we do it again?” Haley also decided she needed to drive the dinghy and picked up on it so quick that we proclaimed her the Motor Launch Skipper. 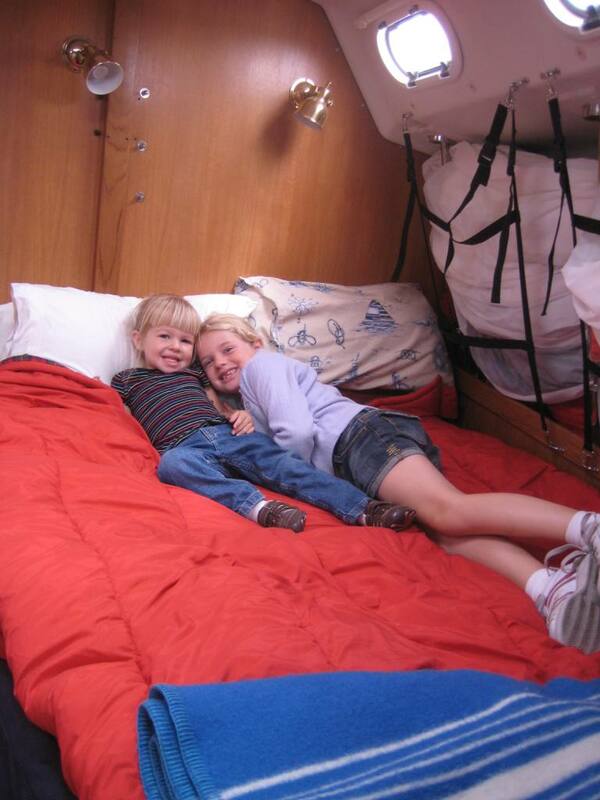 The girls also followed Lori around the boat and checked out the guest cabin, where they decided they could share the berth. The thing we learned was grandparents have to have lots of snacks, as the girls reminded Lori that they were hungry. Sadly the day ended too fast and they departed. The rest of the week will be pretty low key. We plan on moving to the King Harbor Yacht Club Guest dock tomorrow and staying until Friday when we will head off to Santa Catalina Island.